Happy new year to all of you Divi users! Wishing you a joyful and inspiring 2018!  ❤️ It’s a good 2017 last year and thank you for supporting us. We will continue to bring more amazing stuffs to the Divi community this year. It’s being a while since we release a free Divi layout. This time, especially when we updated Divi Perky Animate and added the tilt effect. We decided to design this single page for music lover and by using Perky Animate, we will show you the possibility of Perky Animate module and how powerful it can be. This layout is using free icons and images from pexels, flaticon and giphy. Credit them for the freebies! The layout will show you Tilt effect from Perky Animate and the Wave effect from Fullwidth Header Extended in active and how you can play around with the settings to achieve the design you desire for. 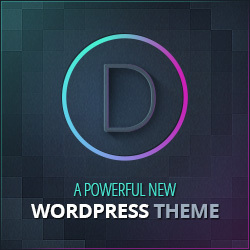 Make sure you are using the latest Divi and also the latest version of our custom modules. Let me know what do you thing of this and what do you want to see next by leaving a comment below. I imported this to the Divi Library but it had no modules placed anywhere when the import was finished and I loaded it to a page. Could it be you do not have our modules installed? Hi, I’am looking for a child-theme or layout pack for a musician (writing music for picture). Have you any idea where could I find something. The “10 Divi Child Themes for Musicians” posted on September 23, 2017, are; as commented by users, not really useful, and the one here neither. Maybe you’ll be able to let me know about. Can this be used to embed links from a podcast? I am thinking of starting a podcast and would like a cool set up like this to list all the episodes. Thanks. Can I know more about the links from podcast? do you mean a embed links which will list all the episodes with their design but you wanted to have tilt effect? Hello team, i would like to reproduce the wave effect in this demo, but it wasn’t in the json file. Can you share the code of the first page plz ? Hello, Can you submit a ticket to us? I just checked the demo JSON and indeed the wave effect is there.